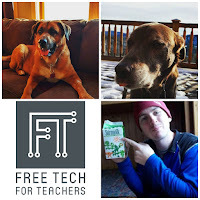 Over the last few months there have been a lot of new visitors and subscribers to FreeTech4Teachers.com and the Free Technology for Teachers Facebook page. Welcome and thanks for joining me here. And thank you to long-time followers who have helped this blog and the corresponding Facebook page grow. 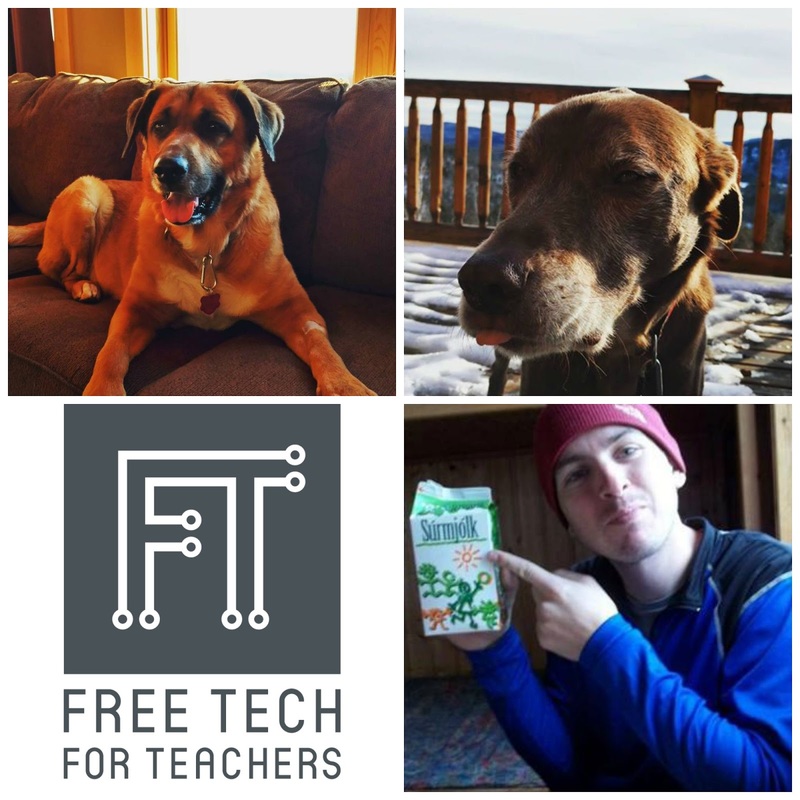 Whether you're new here or you've been with me for eight years, here are some things you may not know about me and FreeTech4Teachers.com. 1. With very few and infrequent exceptions, everything that you see here is written or recorded by me. Last year only 32 of 1181 posts were guest posts. 2. I love dogs and cats. I make regular contributions of time and money to Harvest Hills Animal Shelter and Buddy Up Animal Society. (Adopt, don't shop). 3. I was a high school social studies teacher before FreeTech4Teachers.com and other consulting work became my full-time job a few years ago. I also coached middle school basketball. (If you're thinking about becoming a full-time blogger/ consultant bear in mind that when I made the jump I was on the 10th step of my district's pay scale and still didn't make $35k. I also don't have any dependents other than dogs). 4. I do miss being in the classroom on a regular basis. I especially miss the special education students that I worked with. Fortunately, living in a small town means that I often run into former students. In fact, that happened last weekend at the grocery store. 5. Inspiration for blog posts comes from questions from readers, press releases that I'm sent, conversations with teachers and administrators, and sometimes from my dreams (yes, I have dreamed about blog posts). 6. Sitting still is not something that I do well. My hobbies are biking (road and mountain), skiing, fly fishing, and paddling. Other than home, Iceland is my favorite place in the world. 7. FreeTech4Teachers.com is technically owned by Byrne Instructional Media, LLC. Income comes from advertising, speaking at conferences, running workshops in schools, hosting summer workshops, hosting online courses, and some consulting with start-ups. 8. Instagram is the place that I post fun things like pictures of my dogs, places I ski and bike, or the goofy selfies that I take. 9. Outside of this blog I post content on the Free Technology for Teachers Facebook Page, on my YouTube channel, and on Practical Ed Tech. 10. My number one blogging tip is, "create helpful content." Questions? You can email me richardbyrne (at) freetech4teachers.com or find me on Twitter.